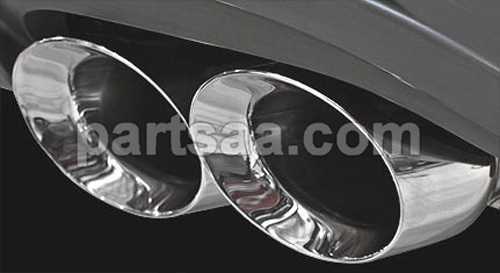 Product categories of Parts For Exhaust System, we are specialized manufacturers from China, Exhaust System Parts, Exhaust Tip suppliers/factory, wholesale high-quality products of Flex Pipe R & D and manufacturing, we have the perfect after-sales service and technical support. Look forward to your cooperation! Adding high performance mufflers can give you added power and a much better sound over stock mufflers. SS304 stainless steel performance universal muffler, with high-temperature resistant ceramic fiber and stainless mesh wrapped around the perforated hole.Inlet diameter 2", 2.5", 3" outlet: single tip, turndown tip, twin tip, twin bend tip.resonated tip, silencer tip. XS high performance SS304 stainless steel universal mufflers can give you added power and a racing sound over stock mufflers. with high-temperature resistant ceramic fiber and stainless mesh wrapped around the perforated hole. stainless steel flexible pipe, Universal design, Easily installed: welded to the exhaust system or tube ends can be added for clamping installations, to connect manifold and muffler.